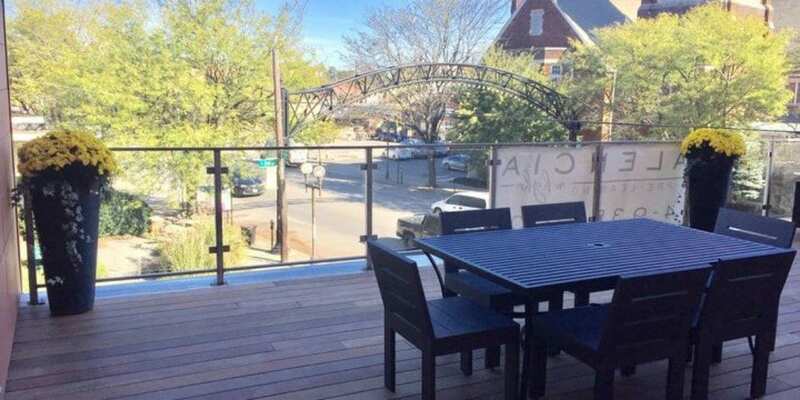 The Short North has long been a haven for people ahead of the curve. 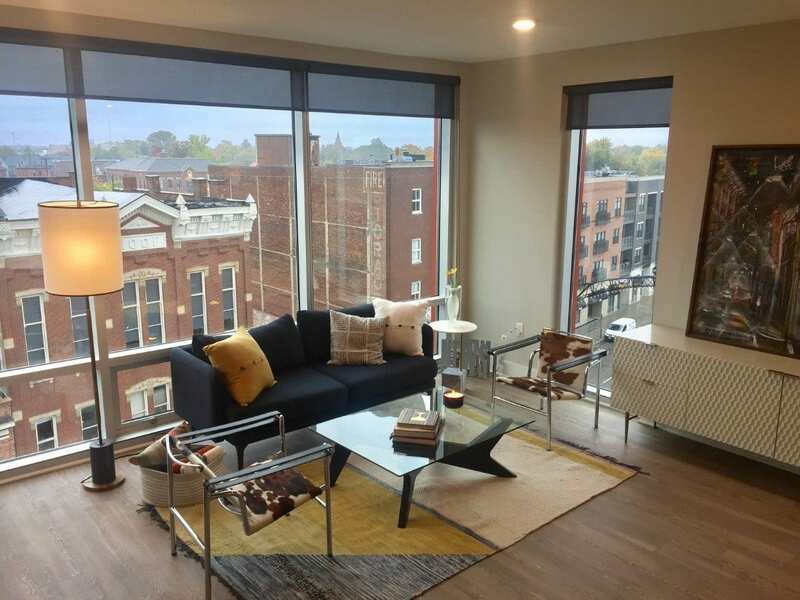 And now, with new apartments at The Valencia On High, by the Stonehenge Company, you have the chance to live in one of the city’s most historic districts, but with new, modern amenities. Apartments are leasing now, but by appointment only. We recently had a sneak peek at the building, and all six of the floor plans, to give you the inside scoop. The development is six stories, and each was built with a layer of concrete in between, making it almost impossible to hear your neighbors. 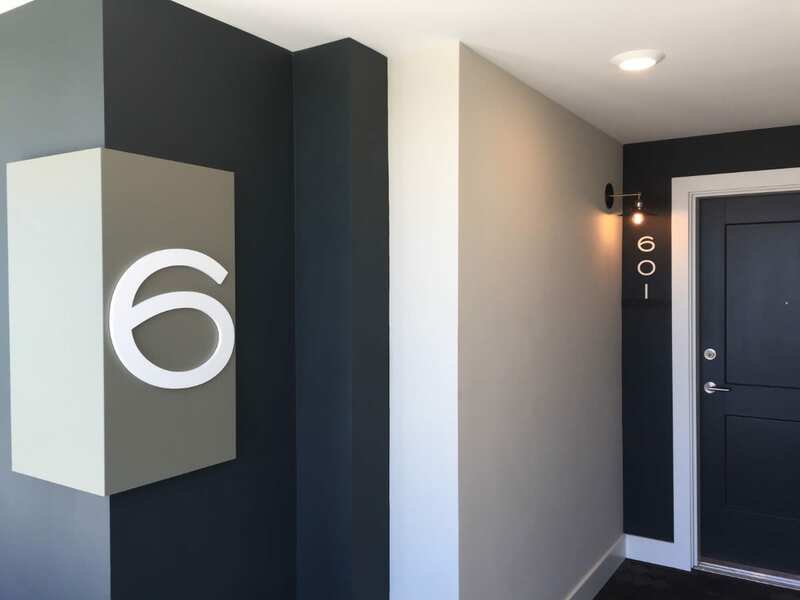 But with just 35 units in the building, you will probably want to get to know those neighbors, since they won’t be annoying you with their loud walking or late-night vacuuming. Of the six different floor plans, all are one bedroom/one bathroom with, wait for it, in-unit full-sized washer and dryer. 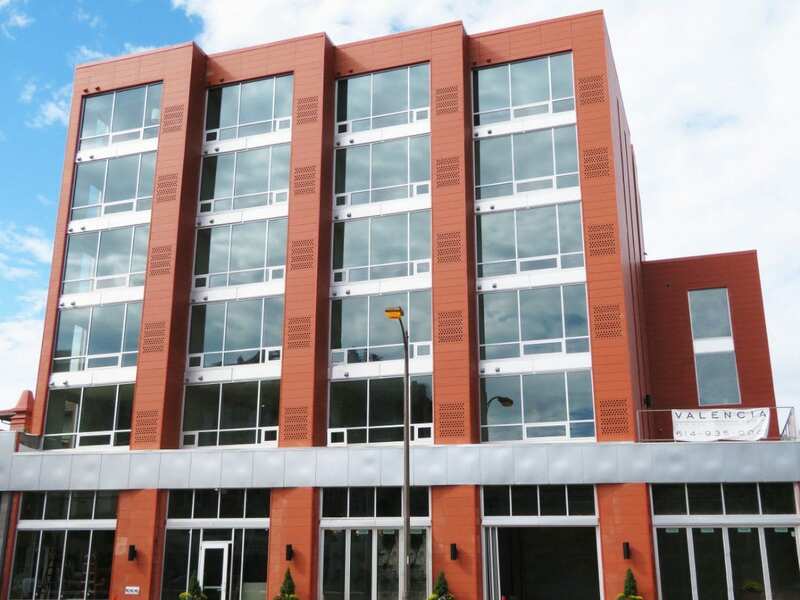 Valencia units range in size from 538 sq feet to just under 700 sq feet. While I didn’t find the layouts to be staggeringly different, they were each generously appointed. Sliding barn doors to the bedrooms give the illusion of more space, and the abundance of floor-to-ceiling windows provide a lot of natural light. The exterior of the building didn’t stand out to me at first glance (there’s a building just south with similar coloring) but then I found out that they are legit terra-cotta panels inspired by the buildings in Valencia, Spain. Hence the name. I think what house hunters will find most appealing is the price point, with units starting at $995. For a prime location on High Street, and the walkability that provides, that’s almost like a needle in a haystack. Residents will find themselves just steps from a CBus Stop, regular COTA stop, COGO Bike rental, and I’m sure a few scooter options as well, if you’re into that sorta thing. 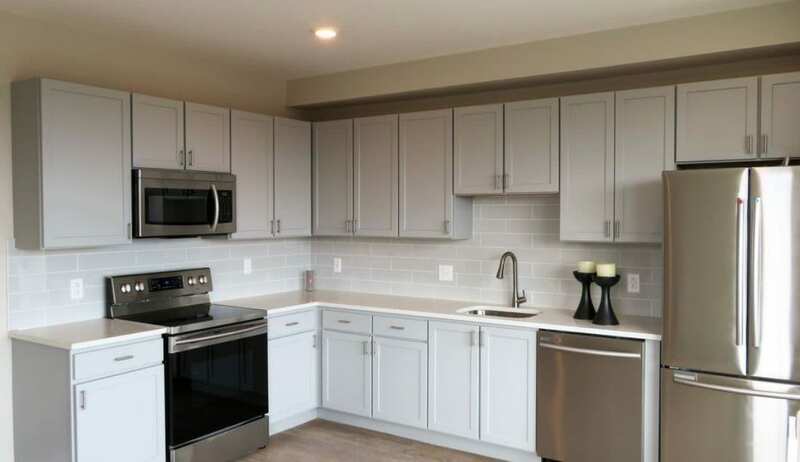 The kitchens are finished with quartz countertops, USB ports, and of course, stainless steel appliances. Manager Sasha Sepher also pointed out the energy efficient aspect of the appliances, which will help with the cost of utilities, as well as help make the building less impactful on the environment. 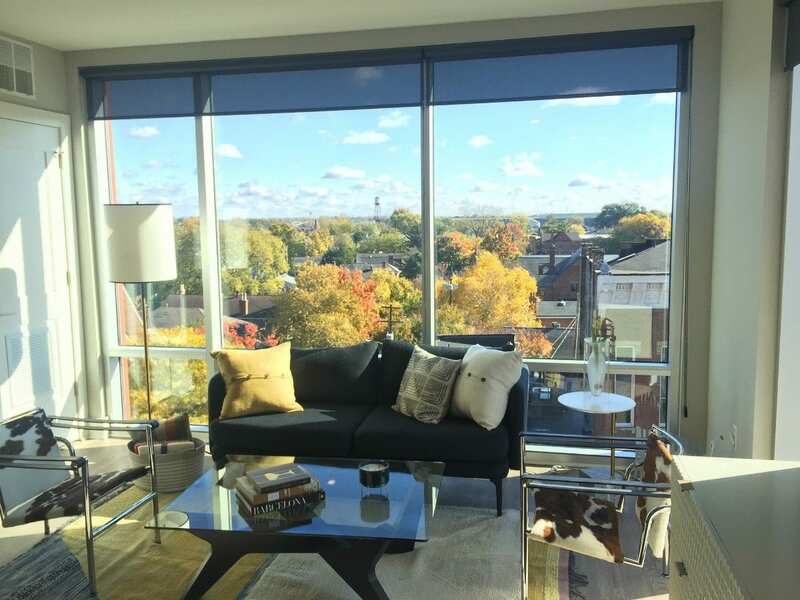 While the building does not offer any balcony space, there is a terrace available for residents off the second floor, with stunning views of the neighborhood. Parking spaces are available to rent as well, on a first come, first served basis. There are 19 available spots at $120 month. As far as for the future of the building, developer Adam Trautner tells me that Stonehenge plans to stay vested for the long term. There’s a 1,700 square foot tenant slot available on the first floor, and management has plans to add community events like happy hours and yoga classes in the Spring. For rental information or to tour Valencia on High, appointment information is available on their website, or by phone. 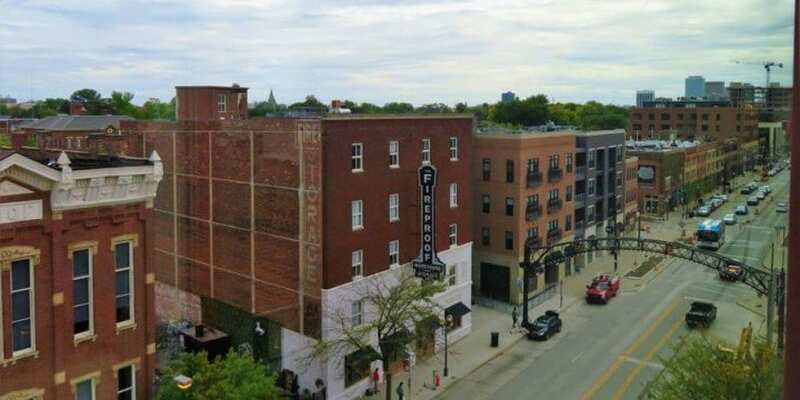 The apartments are located at 1051 N High Street in the heart of the Short North. And if you rent one of the sky-level units, invite me over. I’ll bring wine and promise to leave by 10 pm.